Moving to the other city or even state has many important nuances which should be taken into consideration. Having no experience, special equipment, transport, and skills it is hard to solve such an issue independently. This is why we recommend ordering transportation of your belongings and moving to other US city in our company. 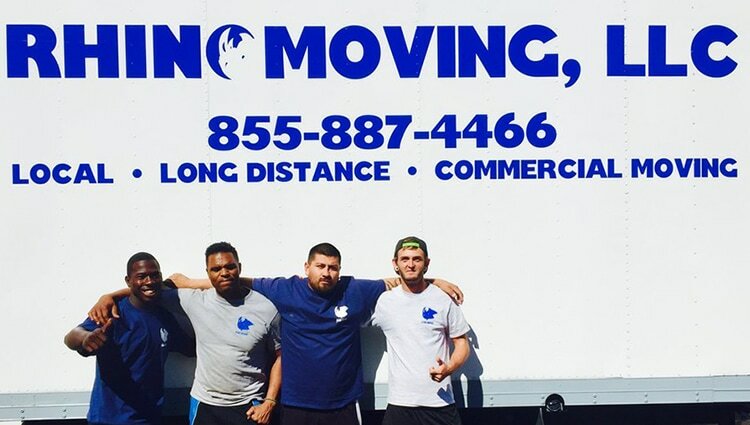 Rhino Moving LLC offers movers in San Diego and labor services for moves to, from and within San Diego County. Since you are planning a long trip it is necessary to carefully pack the goods and fix them in the transport. Transportation of furniture to the other US city requires ultimately careful disassembling, choosing special packaging and labeling of all spare parts, including fitting. To transport your belongings to the other city in the specified term it is needed to think through the route and time of transportation. It helps to avoid traffic. Our San Diego Moving specialists have vast experience in supplying such services that is why you can be sure that transportation of your belongings to the other city or state will be performed with quality. Our additional guarantee is the excellent reputation of our company earned owing to our long-term work with the clients.<br /> Fees for moving from San Diego to other state depend on a number of nuances. In any case Rhino Moving is always ready to help clients to save money. We use our own transport and do not hire agents, that is why ordering complex moving in our company is very cost efficient.